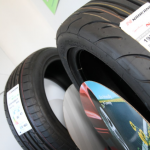 We provide vehicle tyres, van tyres, motorcycles tyres & caravan tyres. 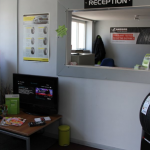 We also provide four wheel alignment, MOT repairs, welding, wheel balancing, brake discs and pads, clutches and much more. 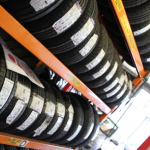 Check out our large stock of tyres which are available to order online for next day fitting. 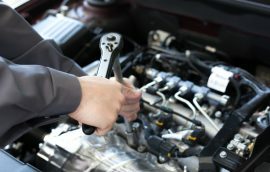 It is recommended that vehicles are serviced once a year or at certain mileage intervals. 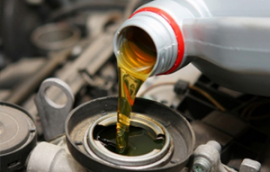 This consists of the changing of filters that get clogged up with the use of the vehicle and oil changes to help keep the vehicle running as smoothly as possible. Does you’re vehicle some love and care? No problem! At Viking tyre and service centre we do it all. From discs and pads to more major work such as cam belts and even clutches nothing is too big or small for us to undertake. We stock many types of tyres from budget brand tyres to premium tyres we have something to suit everyone’s budget. If we do not have your desired tyre size or brand in stock we can usually get it later the same day or the next day. Welcome to Viking Tyres in Woodville! 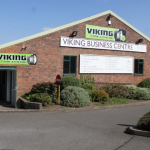 Hi we are Viking Tyre Centre in Woodville, Swadlincote. 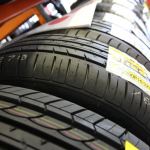 We provide vehicle tyres, van tyres, motorcycles tyres, trailer tyres & caravan tyres. We have a large stock of tyres for all manors of vehicle from budget tyres to premium tyres we have you covered. 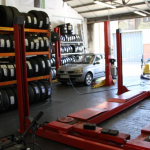 We also provide four wheel alignment, MOT repairs, welding, wheel balancing, brake discs and pads, clutches, alloy wheel refurbishment and anything else that you’re vehicle may need! 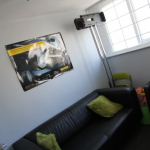 Just give us a call if you are in doubt and our friendly team will be more the happy to help. 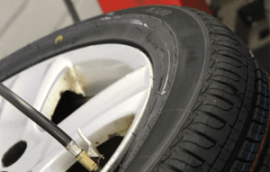 At Viking Tyres our aim is to provide an honest and reliable vehicle mechanic service together with excellent customer service and reasonable prices! We know that for some going to a garage to have you’re vehicle looked at can be a draughting especially for women and you may end up paying for work that wasn’t needed. 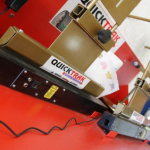 We are here to change all that and put customers minds at ease with our free no obligation quotes and we are honest so we will never charge you for work that you don’t need doing. No matter who comes in the garage male or female, old or young we give everyone the same price. We were looking for two simple tyres for our Peugeot 307. After a few calls to a number of local suppliers to compare prices and which all were generally the same. We came across Viking Tyres Limited. Made a call and were offered a price match immediately and despite it being past 5pm, the opportunity to visit them and have the tyres changed that evening. Viking have a huge selection of tyres for any budget and we went for the Maxxis brand which carries a Lifetime Guarantee. The service we received from Des the owner and his colleagues was exceptional and they even polished up the alloys as a courtesy! To say we were impressed with the experience is an understatement and can’t imagine using anyone else for our motoring needs. It’s also important to mention that Viking were being told by other customers that their prices were cheaper than the comparison sites. The above is absolutely genuine and thanks again to Des and his team for 5 star service! Cant speak highly enough of these people at Viking Tyre Centre!!!! I was driving from Nottingham to Ashby when my car started to loose power. My car would still run but it was juddering. I was driving past Kwick Fit in Ashby so I took it there for them to have a look as I was passing their door. It was on a Sunday and it looked like they were short staffed. He did look under my bonnet but didn’t really feel me with confidence about what the problem was and he thought it was due to the fact that I had just filled up my car with diesel and could of been a bad batch of fuel. As Viking Tyre Centre were open till 4:00 on Sunday I thought I would try to catch them before they shut for the day. They were very helpful and with a thorough look at my car they determined the fault was the intercooler pipe had come off causing the loss of power. I was amazed how great their customer service was and I will defiantly be using them again! My car recently failed it’s MOT and required a quantity of welding to the rear suspension supports. Having had a price from the MOT garage I then sort to find a reputable garage that could complete the work. 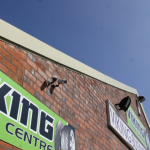 Viking came highly recommended and so we agreed a price, which I may add was considerable less that the previous quote, and the work was completed to a more than satisfactory state, this was confirmed on the re test by the original garage. I would highly recommend Viking services as they are competitive and offer a completely professional service.